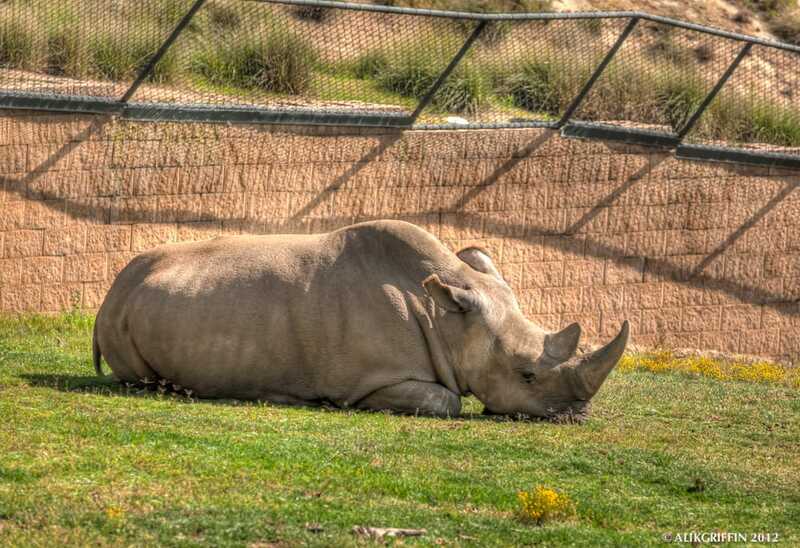 This a HDR photo of one of the two White Rhino's at the San Diego Wild Animal Park. This guy is 30 years old. All of the northern white rhinos are over 30. Too old to breed, and too few of a genetic diversity for the species to repopulate. They will be extinct in our life time. All thanks to poaching. He looks sad doesn't he? I shot this Northern White Rhino on the Canon 5Dmkii 70-200f2.8L IS II. Three shot bracket HDR at 2 stop intervals.